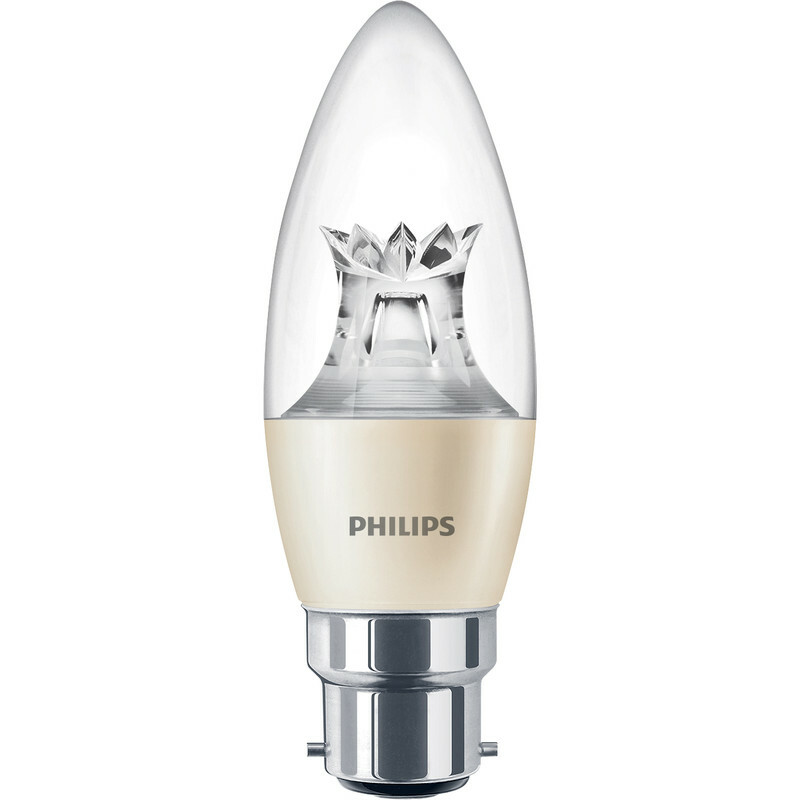 Philips LED Warm Glow Dimmable Candle Lamp 6W BC (B22d) 470lm is rated 4.3 out of 5 by 7. Rated 1 out of 5 by Jon Newcastle from Not as advertised Bulb I received was not the one in the photo. It had a pointless fancy bit on the end. Bloke told me it was the only one they had. Doesn’t fit in my lamp. Rated 5 out of 5 by JonnyT from Quality bulbs! Came very quickly well priced and a lovely quality look to these bulbs! Rated 5 out of 5 by Andy C from Excellent bulb - perfect dimming Bought this to fit in to ceiling fixtures in the lounge, We wanted dimmable so thought we'd try these. Although not the cheapest the performance is outstanding. Paired with a Varilight JQP401W dimmer they dim right down to around 15% with no flicker. Probably the best combination I've seen. Rated 5 out of 5 by Ninal57 from Nice illumination Bought eight of these for some new wall lights, they all worked and dim nicely giving a nice illumination to the room. Just hoping the reliability justifies the cost. Rated 5 out of 5 by baskey from Best dimmable LED yet I replaced 5 x 40 watt filament lamps in my chandelier with these. Using the same dimmer switch they work perfectly and the warm glow when dimmed down is excellent. highly recommended!